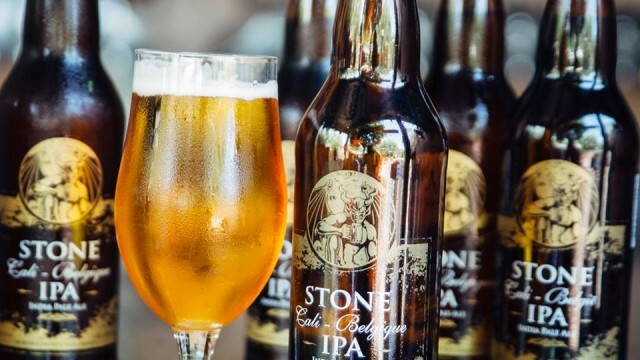 Citing a slowdown in growth, San Diego craft beer pioneer Stone Brewing Co. has laid off 5 percent of its workforce. “Due to an unforeseen slowdown in our consistent growth and changes in the craft beer landscape, we have had to make the difficult decision to restructure our staff,” the Escondido-based company said in a statement. Approximately 60 of its 1,200 employees were affected last week, and the company said no additional layoffs are expected. The layoffs come as the 20-year-old company ramps up production and distribution from new facilities in Richmond, VA, and Berlin, Germany. “This comes despite a year that includes the incredible accomplishments of opening two new breweries, which are ultimately expanding the availability of Stone beers and boosting the reputation of American craft beer in Europe,” the company said.